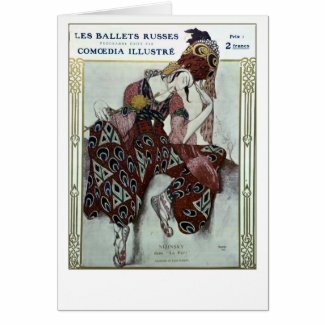 You are currently browsing the tag archive for the ‘Sergei Diaghilev’ tag. Sergei Diaghilev was born on this day in 1872. 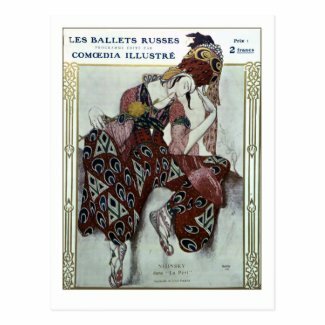 The iconic Russian ballet impresario, dancer, choreographer, songwriter and critic, founded the incomparable Ballets Russes company. He was responsible for the ballet premieres of Stravinsky’s The Firebird, Petrouchka and Le sacre du printemps (The Rite of Spring), not to mention Rimsky-Korsakov’s Schéhérazade, Debussy’s Prélude à l’après-midi d’un faune (Prelude to the Afternoon of a Faun) and Prokoviev’s Chout.